A big factor in the success of a facilities manager is based on the work their contractors do. So having a technology solution focused on the contractor side of the world can have direct impact on the FM side. 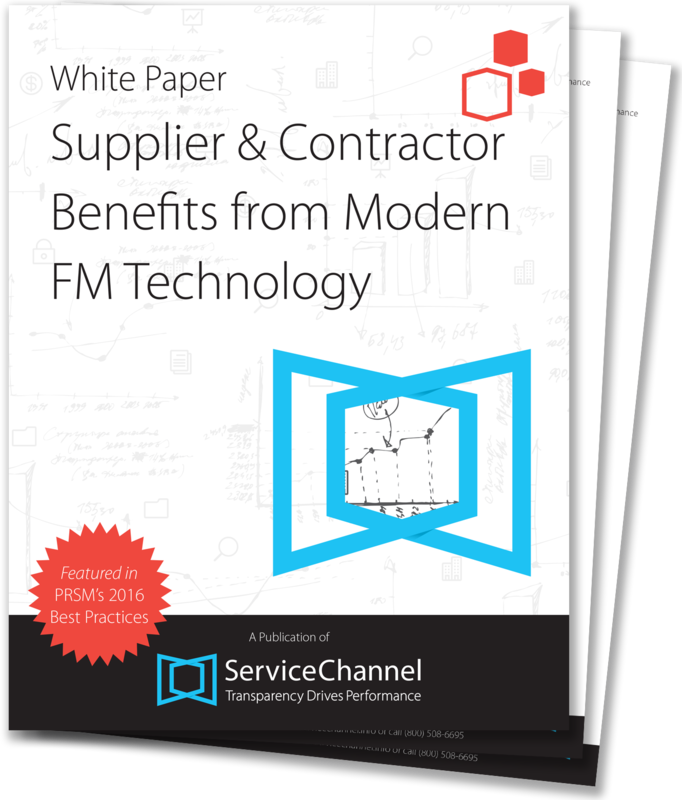 In this whitepaper, we discuss the four major areas in which both contractors and facilities managers benefit from the latest FM technology, including. Compliance: Compliance management solutions let FMs capture all the relevant credentials for their contractor base and monitor them. Mobile: With both iOS and Android apps, many FMs have 24/7 access to key aspects of their repair and maintenance operations. Mobile FM apps allow for work orders to be created, contractors to be reassigned and service request statuses to be checked regardless of time or location. Billing: By using service automation technologies for repair and maintenance issues, contractors can consolidate their billing process by billing the same way for all their clients using the same FM system. Scorecarding: With all metrics on the table, discussions with contractors can be more fruitful. Facilities managers understand where they’re being successful, where they’re not, and be able to understand and look into issues before sitting down with their clients.